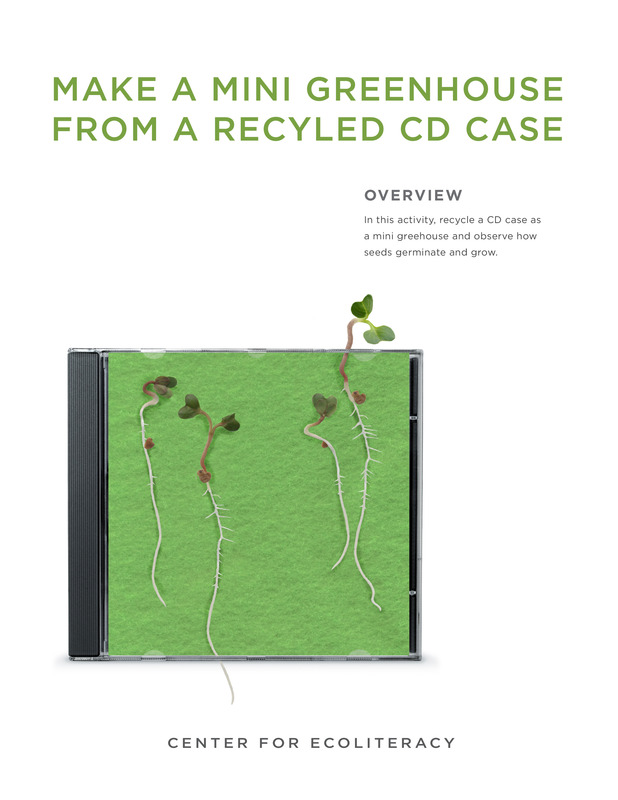 "Make a Mini Greenhouse out of a Recycled CD Case" is a revealing activity you can do in the classroom or at home. In about 10 days your radish seeds will become well-developed seedlings, with the entire plants visible, including root systems. Estimated time: Soak seeds overnight. 20 minutes to make mini greenhouses. 10 days of care and observation. To see radish plants growing from seed, watch our time-lapse video (38 seconds).